The Sierra Club was founded 120 years ago on 28 May 1892. A year later, the first volume of the Sierra Club Bulletin detailed one member's account of a trip from the Mojave Desert mining town of Daggett, California, to Furnace Creek in what would eventually become Death Valley National Park in a piece titled "Through Death Valley". 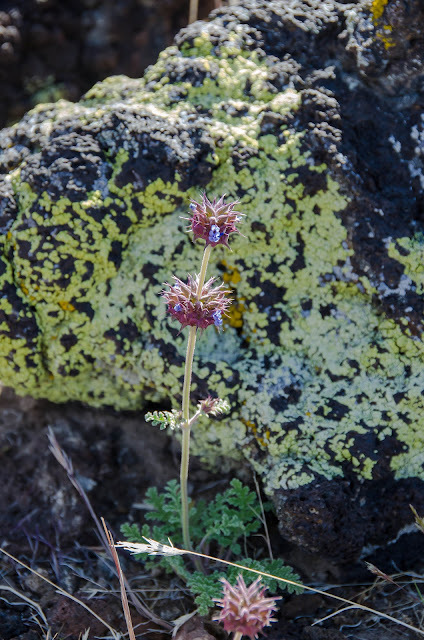 I was struck by the bright colors of the lichen on the lava rock, and a blooming chia (Salvia columbariae) in the foreground. This was taken at the cinder cones in the Mojave National Preserve. To update you on yesterday's post, the California Public Utilities Commission (CPUC) passed the proposal to nearly double the number of rooftop solar installations that can benefit from net metering, where utility companies fairly credit the customers for solar energy they generate for themselves. Like I wrote yesterday, this is just the start. CPUC voted to pass a measure that keeps rooftop solar viable for another year or so. But we have not yet begun to understand the benefits and efficiencies of ditching our old energy model. Rooftop solar means fewer transmission lines, cutting greenhouse gas emissions, and giving pristine wildlands to future generations, not energy companies. I am looking forward to the next CPUC vote to expand rooftop solar. The California Public Utilities Commission (CPUC) is expected to vote tomorrow (24 May) on a proposal to essentially increase the number of utility customers who can benefit from net metering, where the utility credits the customer for the full retail value of energy their panels produce. If the proposal is passed, the number of net metered solar installations would nearly double. The Sierra Club has been a vocal proponent of the proposal, and over 60,000 residents spoke up in favor. As a recent Huffington Post piece mentioned, rooftop solar is not a tool for the rich and famous. The majority of rooftop solar installations have been in zip codes with median incomes. Rooftop solar also generates local jobs, and reduces the need for toxic "peaker plants" which fire up to generate energy during peak demand hours and pollute our air. The American Wind Energy Association (AWEA) is carrying out an aggressive effort to undermine wildlife protections that it views as an obstacle to its expansion onto wildlands, according to an AWEA strategy document from late 2011. AWEA's strategy outlines plans to facilitate the industrialization of public lands by allowing "industry to proactively set and guide the siting agenda" by co-opting environmental groups, government agencies, and a wildlife research institute, according to the document. The Environmental Protection Agency (EPA) has extended its deadline to receive public comments on an emissions reduction proposal for the Reid Gardner coal power plant in Nevada. Comments are now due by June 4. You can read my previous blog post on how to submit comments, or read the Federal Register notice (which still contains the older public comments deadline). Today is Endangered Species Day. Let us strive to find a way to live on this Earth while preserving its beautiful biodiversity. 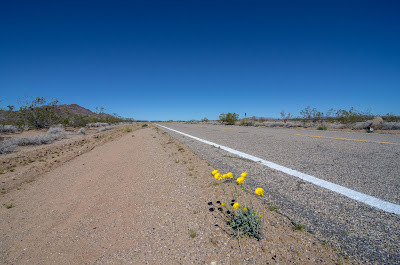 The photo below shows desert wildflowers in bloom along Route 66 in California's Mojave Desert. 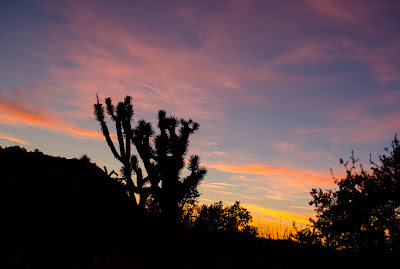 This area would be preserved under the California Desert Protection Act of 2011, which Senator Feinstein introduced last year but is still in limbo in Washington DC. The Obama administration expressed its support for the conservation plan outlined in the Act. Secretary of Energy Steven Chu visited Phoenix on Tuesday to tout a rooftop solar leasing program that will ultimately enable up to 1,000 residents to install panels. The $25 million program, financed by the National Bank of Phoenix, is the second phase since the first round attracted over 400 interested residents. Solar leasing is not as ideal as self-financed installations that could be possible through Property Assessed Clean Energy or feed-in-tariffs, but does achieve a reduction of fossil fuel emissions, and savings on energy bills. 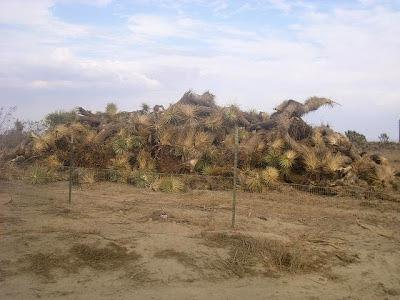 Best of all, no desert is destroyed to install solar on rooftops or in other places in our cities! You can kill the planet with lethal injection, or the electric chair. Those are the two options offered by some environmentalists. Last night I wrote about a prevailing "war" that we environmentalists are waging against fossil fuels, and the weapon chosen by environmental "leaders" happens to be killing what we love. It's about "trade offs" according to the environmental vanguard. Give up some wildlands for utility-scale wind and solar energy, and we can save the planet. But they never tell you how much we need to give up. Just ignore the numbers, because clean energy consultant Alan Nogee says we need to make the "trade off". Just be happy that the destruction of habitat and a reduction of biodiversity was caused by clean energy, and not climate change. A recent article by the Guardian newspaper exposed efforts by the fossil fuel industry to co-opt and support grassroots groups opposed to wind energy facilities. The article points to a strategy memo put together by the conservative American Tradition Institute (ATI) to organize local anti-wind groups and generate more opposition to big wind facilities, and ignoring the core problem of climate change caused by unsustainable use of the planet's resources. The campaign, and other recent efforts by the fossil fuel industry to maintain its destructive foothold on our planet is a sign that, despite growing concern for our climate and our economic dependence on unsustainable fossil fuels, the industry is still on the prowl, like Cruella Deville in search of puppies. Following efforts by the Heartland Institute, this was dismaying, but not a surprise. But the response from the green community has been the most alarming for me. 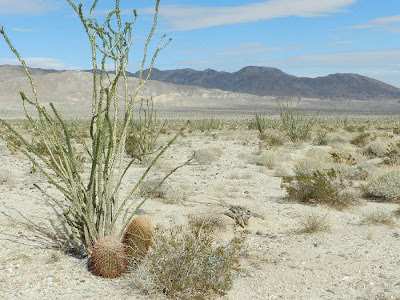 People familiar with the desert know that a hike out there is great for the peace and solitude, and hundreds of subtle signs of life -- tracks in the sand, animal burrows, and many plants and wildflowers that offer a quiet companionship. Maybe a black-tailed jackrabbit or western whiptail lizard will dart out in front of you, but the bigger fauna are more elusive. 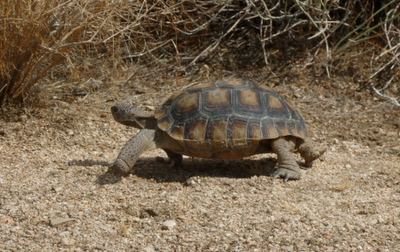 The desert tortoise spends most of its life underground in burrows. Kit foxes and bobcats are usually most active at night. Bighorn sheep usually stay up in the rugged mountains. 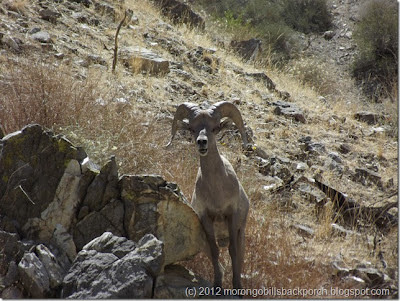 Fellow desert blogger Morongo Bill recently had the lucky experience to come across a herd of bighorn sheep (I assume Ovis canadensis nelsoni) in the Big Morongo Canyon Preserve, and posted some amazing photos over at Morongobill's Backporch blog! Call him the Bighorn Whisperer! How can you give this up to industry and profit? What is this moment's price tag? Nature and solitude. The call of the coyote as the sun makes its final mark on the land for the day. The cool kiss of the night luring critters from their burrows to begin their foraging, and revealing a blanket of stars. I hope future generations can enjoy this.